The almonds will turn a rich brown color and will dry out nicely. 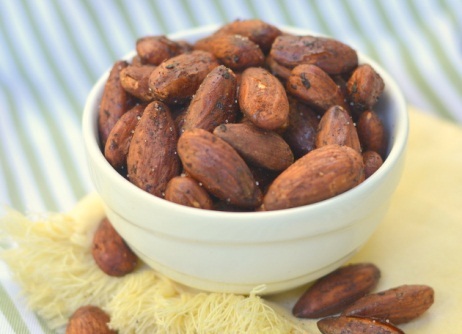 Once cooled, the almonds can be stored in an air-tight container. If you live in a damp climate and the nuts become a bit soggy simply pop them back in a 300 degree oven for a few minutes before serving and they will dry out once again.